As October comes, the northern mountainous province of Ha Giang attracts flocks of tourists who come to watch blooming fields of buckwheat and beautiful golden paddy fields. 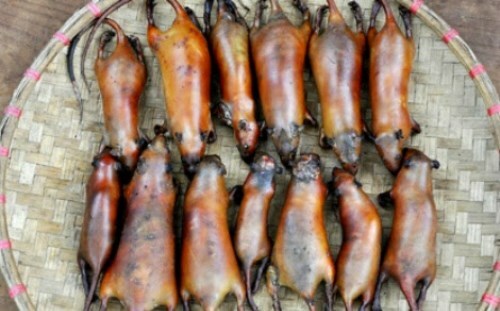 Rat meat might turn off many people, but it is a very popular dish among the La Chi ethnic people in Ha Giang. 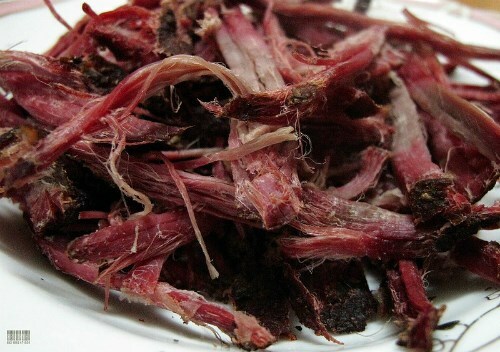 It is cooked in various ways – stir-fried, grilled or hung like smoked ham. When it is harvest season, the rats get fat as they eat a lot of rice in the fields. Men usually lay traps or dig up burrows to catch rats. After a rat is slaughtered, it is skewered with a pointed bamboo stick and roasted over an open fire until the skin turns yellow. They disembowel the rat and wash it carefully before scenting it with seasoning, spices and herbs. The rodent is then grilled over firewood oven until a fragrance rises into the air. The meat tastes so sweet that one could forget it used to be a rat. “Really? They eat moss?” That’s the common reaction of many people the first time they hear about this dish. 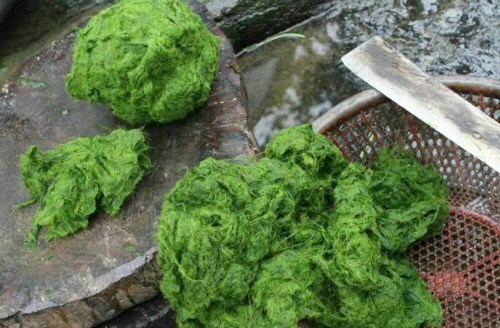 Green moss turns out to be a delicacy of the Tay ethnic people in Ha Giang. They get moss from streams and mountains, wash it carefully until the greasy substances are washed away. They add some spices to the moss before roasting it. This dish tastes unusual but delicious nevertheless. It is said to be very good for health, improving blood circulation, detoxifying and reducing fevers. This congee is cooked from rice and aconite roots. The roots are soaked overnight in water that has been used to wash rice before being simmered together with rice and pork trotters until the roots get soft. 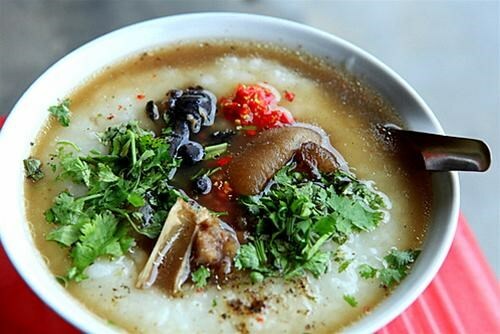 Locals also add chili, pepper, herbs, and chicken eggs to the congee. The first time one tastes the porridge it may be a little bitter. But gradually they will be seduced by the sweet taste and fragrance of the congee. This dish is usually eaten on cold evenings as it warms your body and is said to be good for health. 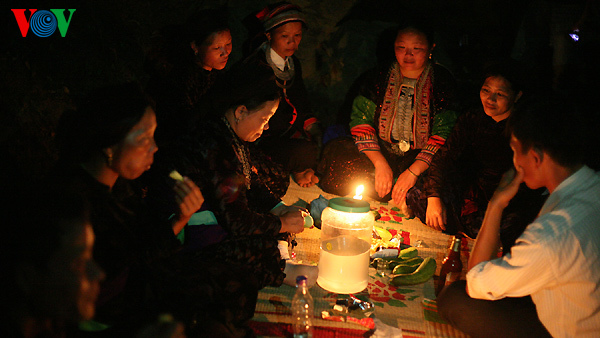 In mountainous provinces like Ha Giang, smoked ham is popular as it can be kept long. Smoked ham has become a must-try dish and a favorite gift for tourists. Locals usually cut pork and buffalo meat into long slabs and cure them with chili, ginger and especially mắc khén, a kind of native pepper, before hanging them up in the kitchen. Cured with smoke atop a fire, the meat absorbs the smoke until the skin looks burned and the fat layer turns transparent. Pork and buffalo meat taste sweet and smell of smoke.